Steel is Real. And malleable. Which explains why the ride quality can be so great. It also explains the versatility I’ve enjoyed with my 1996 Gary Fisher Marlin. 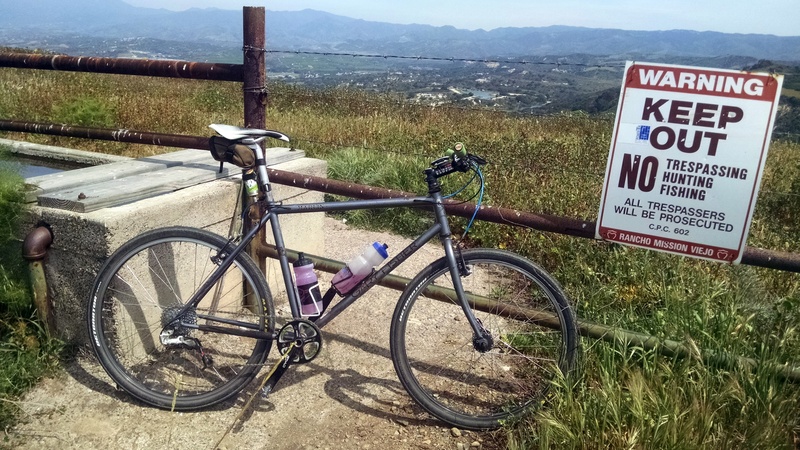 I bought it as a freshman in undergrad as a commuter in addition to something I could traverse the Sonoma County trails with. As a mountain bike it was never anything exceptional, but I didn’t need a top-of-the-line bike back then (nor could I have afforded one). But it’s simplicity is what has allowed me to take the frame and transform it into different bikes for different functions over the years. Gary Fisher 4.0 as an Adventure Bike. Most recently, it was setup as a single-speed bike. But that role really didn’t suit the bike. It is a rigid 26″ bike after all. Ever since I built my MamaSSita up to fill the single-Speed niche in July 2013 the Gary Fisher has been hanging in the garage in various states of disrepair. It makes me think of a sign in my Father’s garage: “Repair and Despair under one roof”. 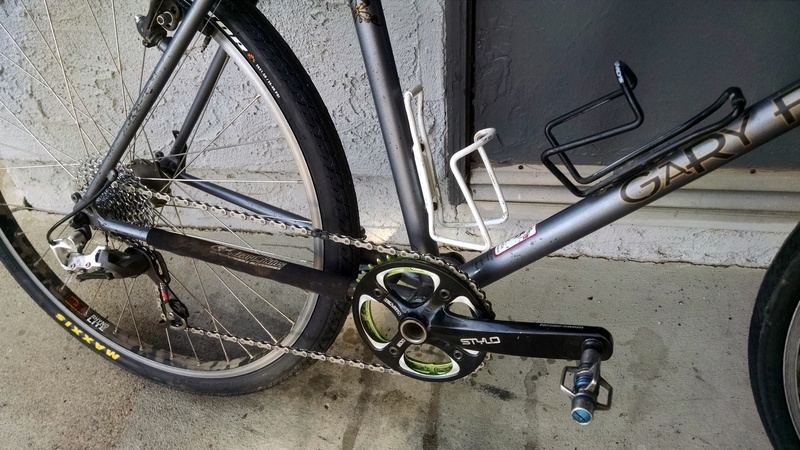 I occasionally feel some guilt as I grab a bike to ride and my eye catches the bike hanging with an empty rear triangle and a dangling chain. 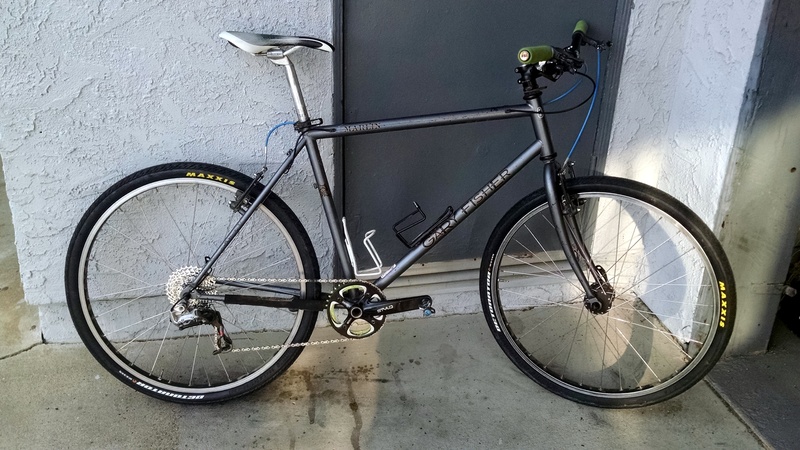 The positive of having stripped the bike down to a single-speed is that I could easily build it back up using existing parts into a 1×10 adventure bike. The idea behind the bike is to have something I can ride without concern for pavement or dirt – a liberating type of bike that can be pointed in any direction. I had been using my 29″ race mtb for this purpose but it will be nice to save it from the wear and tear. Going forward, I may even get some fenders or racks since the frame and fork has built-in capability for it. 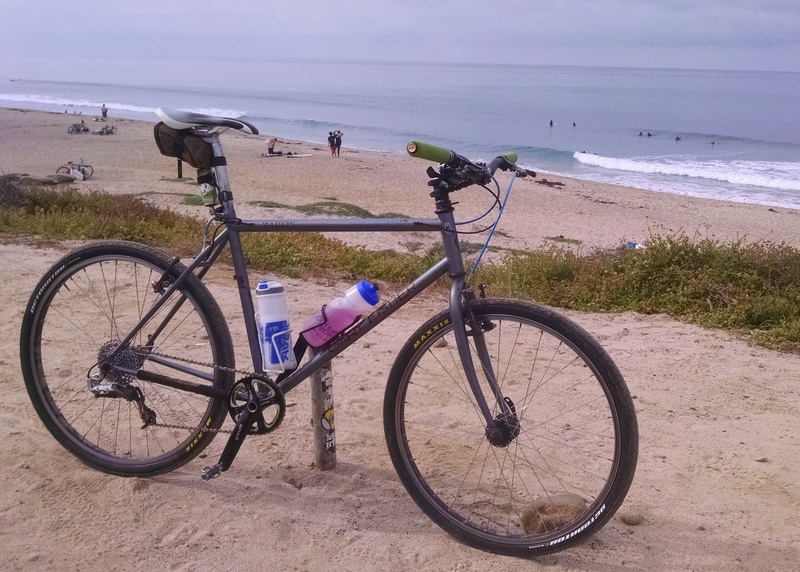 Stock Steel Frame, Fork, & Seatpost: 1996 Gary Fisher Marlin. 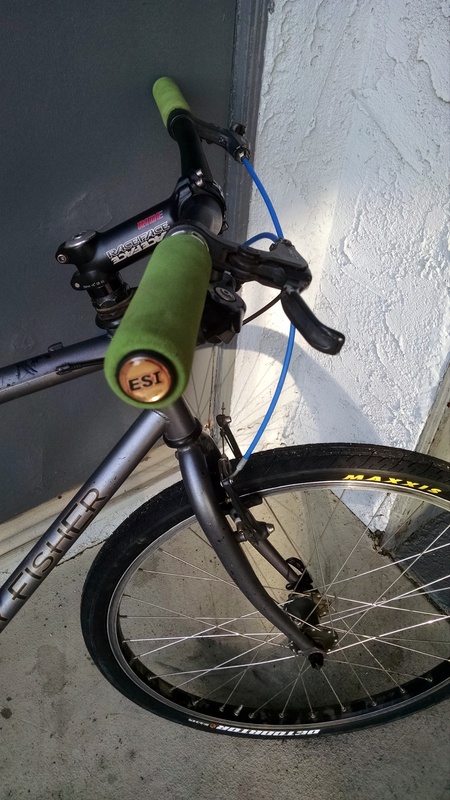 Existing RaceFace bar & stem along with my chunky ESI green grips. Braking via existing Tektro rim brakes. Fingers definitely have to work harder to brake when on trail! 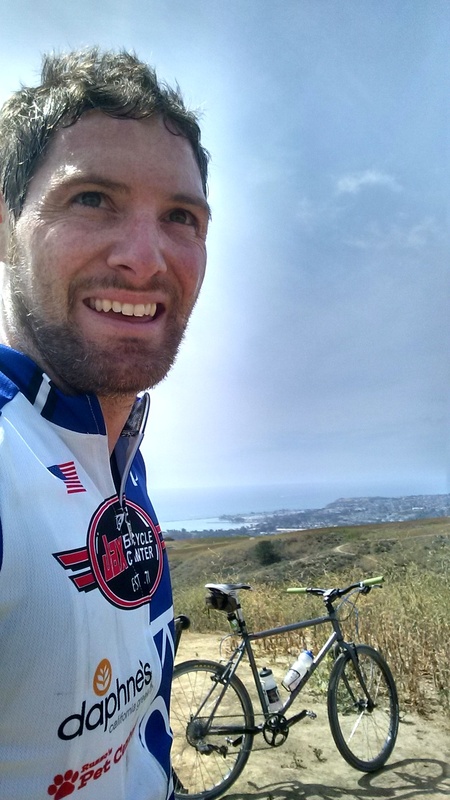 I was able to take it on its first 40+ mile adventure around San Clemente and San Juan Capistrano. I would estimate the road to dirt ratio at 40:60. Not bad! I stopped a couple of times to dial in the seat height but other than that the ride was fantastic and I’m surprised by how well 1.5″ road tires hook up in the dirt. Very surprised. 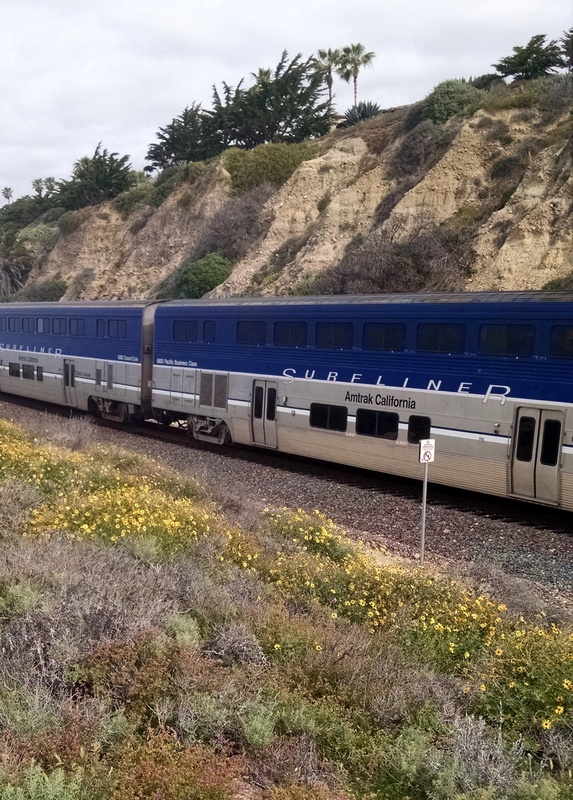 First dirt at Trestles Beach in San Clemente. 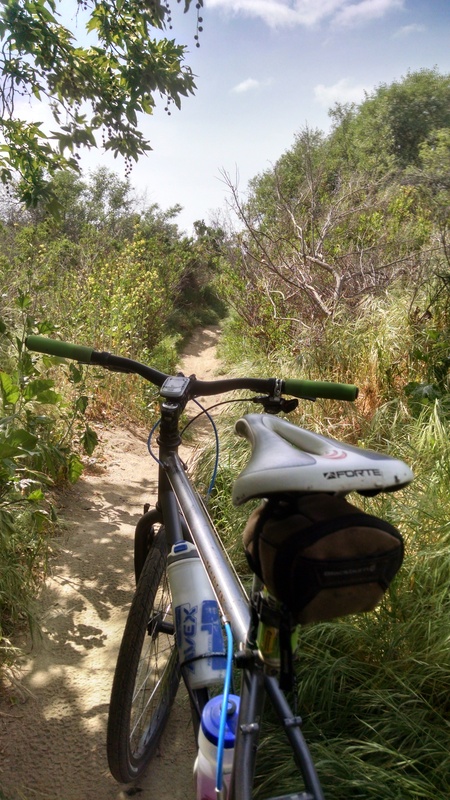 San Clemente singletrack. I managed to dodge 2 king snakes, 1 gopher snake, & 1 rattlesnake! Looking east from the San Clemente ridgeline to the Santa Ana Mountains. Happy to be back aboard my Gary Fisher! Dana Point harbor in background.